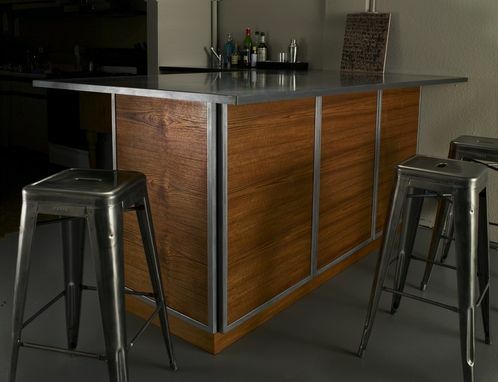 This project was made for a photography studio as a place to entertain as well as a place for clients to set up during photo shoots. 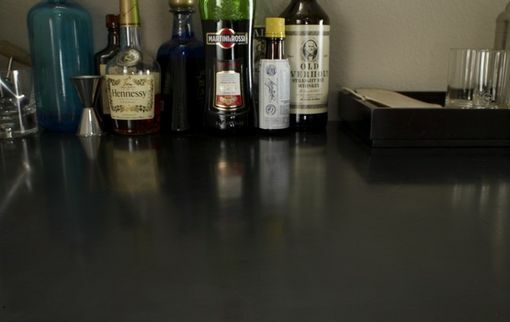 The open shelving displays glasses and bar supplies. 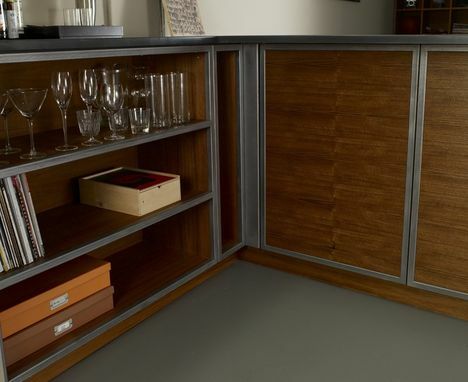 Some of the panels are doors that open to more storage. 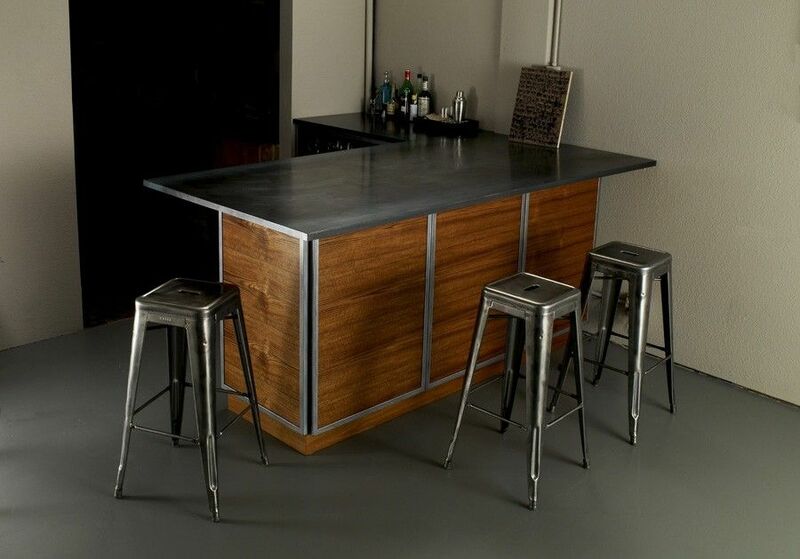 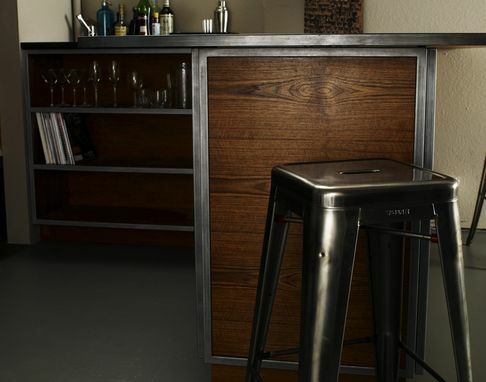 The bar top is made of hot-rolled steel. 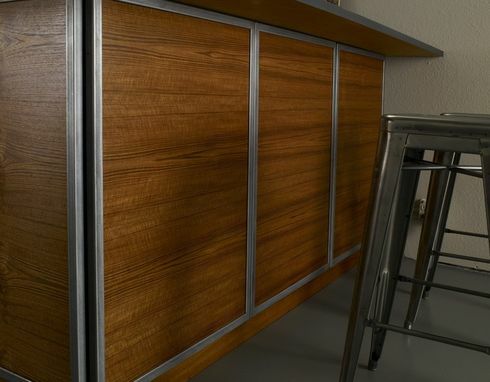 The cabinetry is teak plywood.